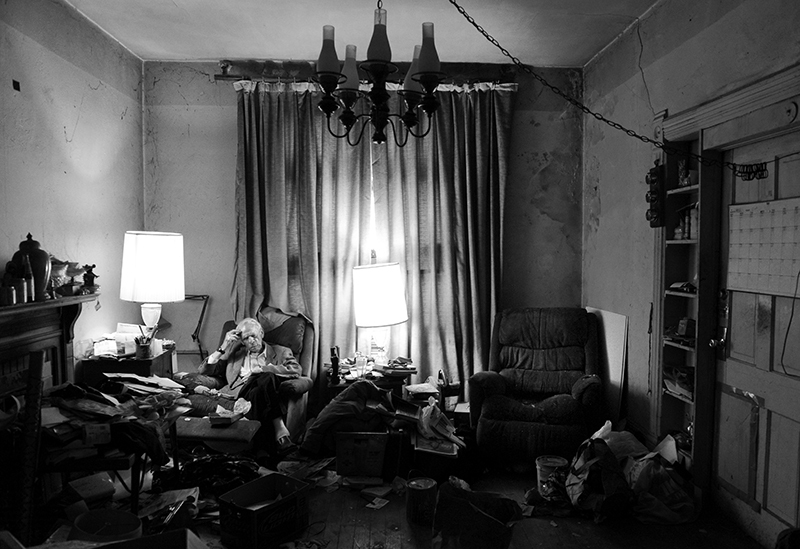 Cecil sits next to his partner's empty chair in the home they shared for 39 years. Cecil said it's taken time to adjust to living alone. He remembers one night in particular, about three months after Carl was admitted into a nursing home. "The wind was blowing and the house was creaking, and I thought I heard him coming down the steps. And I said to myself, 'oh, he finally woke up from his nap," Cecil said. "And it dawned on me then; that wasn't him coming down the steps."